What is Big Data ? What is Hadoop ? 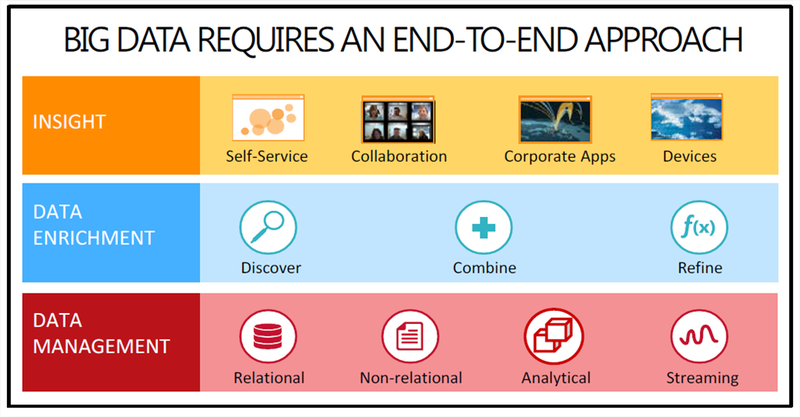 What is relation between Hadoop and Big Data. 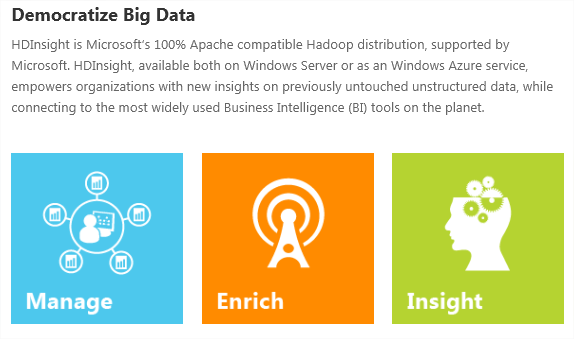 This article just picture blog post for Microsoft Big Data . gives you the power to manage virtually any data, regardless of size or location; add value to your data by enriching it with external input; and enable anyone in your organization to easily glean insight from your data so they can make smarter decisions. This is the power of Microsoft Big Data.